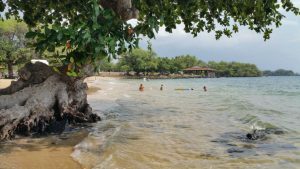 The Big Island Gathering will be held on May 24-27, 2019, at Spenser Beach Park, Waimea. The Big Island Gathering will be extra special this year as we are including meals. We anticipate another spectacular event at Spencer Beach Park which is located on a beautiful, sandy beach in a protected bay. There will be lots of warm ocean water, blue skies and sun! The meetings will be filled with recovery and we are excited about our improved floating meeting (yes, a meeting in the water so bring your floaty!). Friday will be our opener heading into Saturday’s fun filled day and eve, finishing up on Sunday morning spiritual meeting. We are committed to having a great time so come join us! Please remember that the park gates will be closing at 9 p.m. nightly.